Jumping rope is not just child's play. Want to ramp up your endurance, burn fat and get some great cardio? Jumping rope and hoofing it on the treadmill are both excellent choices. 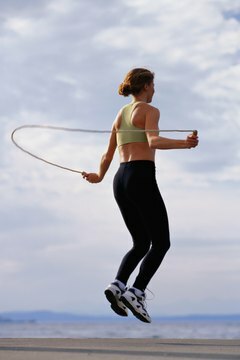 One perk of the jump rope is that you can use it just about anywhere; unless you own your own treadmill, you are stuck trekking to the gym. That said, you are likely to last longer on the treadmill, and can easily reduce intensity when you grow weary. No matter which you choose, get a physical examination before starting a routine if you don't currently work out. Jumping rope is a guaranteed calorie blaster; at 160 pounds, you will incinerate 861 calories per hour. Of course, you need near super-human endurance to last an hour jumping. The treadmill can be just as effective, but you must run an hour at 8 mph to get that same result. This may be a piece of cake for marathon trainers, but it is a demanding speed. Running at a gentler pace of 5 mph burns a still-respectable 606 calories per hour, and may be preferable if you can maintain that pace significantly longer than jumping rope. You can get your cardio groove on with a jump rope just as with a treadmill. 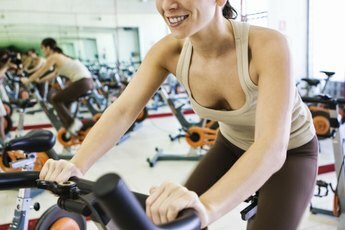 However, to get full cardio benefits your workout must last at least 20 to 30 minutes. In addition, your heart rate must be 60 to 85 percent of maximum during exercise. Cardio activity increases cardiovascular health as well as lung capacity, protecting you from heart disease and other chronic illnesses. Do cardio three to five days a week for optimal results. So you can get a fantastic, calorie-torching workout with either a jump rope or a treadmill. However, there is one difference that's hard to ignore -- difficulty adjustment. On the treadmill, you have near-total control. You can adjust the speed and incline, opting to stroll, run or hike. There are no settings on the jump rope, so you are pretty much stuck with, well, jumping. Sure, you can up the ante by moving from side to side or lifting your knees, but there is no way to make jumping any easier. And as hard as jumping can be, you may not be able to sustain it very long. Jumping rope can be hard on your knees, so keep your feet low to minimize impact. With both forms of exercise, ease slowly into a routine and stop if you feel dizzy or overheated. Warm up and cool down for each workout, and invest in quality shoes to help prevent injury. Drink plenty of water, and opt for sports drinks with electrolytes during particularly long and grueling workouts. If you feel pain, stop immediately. 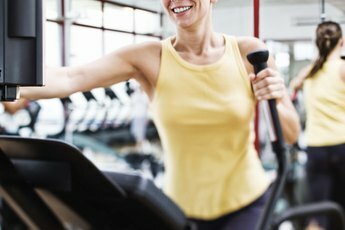 ShapeFit.com: Cardiovascular Training - Burn The Fat With Cardio Workouts! Does It Hurt to Jump Rope Every Day? Are Treadmills Worse on the Knees Than Asphalt? Does Treadmill Running Affect Your Foot Strike?